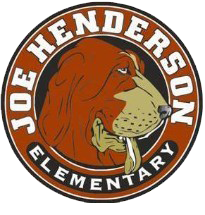 B.E.F.’s Run for Education: Join Team Henderson Hounds! The Benicia Education Foundation’s annual fundraiser, Run for Education, is on Sunday, April 22nd. Joe Henderson is encouraging all staff, students and parents to join our team to walk the 5K, run the 10K or volunteer at the event. Historically, Team Henderson Hounds has won the perpetual participation trophy for having the most team members and team spirit. Let’s keep the tradition going. *Be sure to sign up for the Henderson Hounds team at the time of registration. The Benicia Education Foundation (BEF) is an organization that benefits all of the school sites in the Benicia Unified School District. BEF sponsors events, field trips, technology and more. Currently, BEF fully funds the Exploratory Wheel program at the Elementary sites. This enrichment wheel allows our 3rd-5th-grade students to participate in activities such as computer coding, drama, martial arts, and visual arts.